2012 was a brilliant year in terms of launches, goodies for me to gush over, get stuck into and basically torment you and my friends with how amazing certain products were. Last year I tried breaking down all of my favourites into categories but as I'm such a product junkie and completely indecisive when trying to pick just one item, so ended up picking two or more products for each section which made for a very long post indeed. This is the first perfume I've ever finished in my life. Now in fairness as soon as I brought the bottle into work, I'd three or four of my colleagues helping me use it up. But five months later, we came to the end of the bottle and we've all decided to donate a few bob to the cause and buy a new bottle between us! Gorgeous, clean, soapy, lovely perfume that I'll be repurchasing. Review here. This is why loitering around one's local pharmacy is the business. I came across the Gingembre scent by accident and fell in The Instant Love. It's not sweet and warm like you might think a ginger named scent would be, instead it's fresh and clean and the fact that my mam loves it speaks volumes! After buying the fragrant water and body lotion, I had to pick up the shower gel and brought them all to New York, so now when I smell them, I'm brought back to our brilliant trip. And in a recent excursion to Marks and Spencer, I found they had the matching hand wash, so I totally bought that too. Love it. Review here. 3. YSL Dessin Du Regard Waterproof Eye Pencil - Azure Blue. 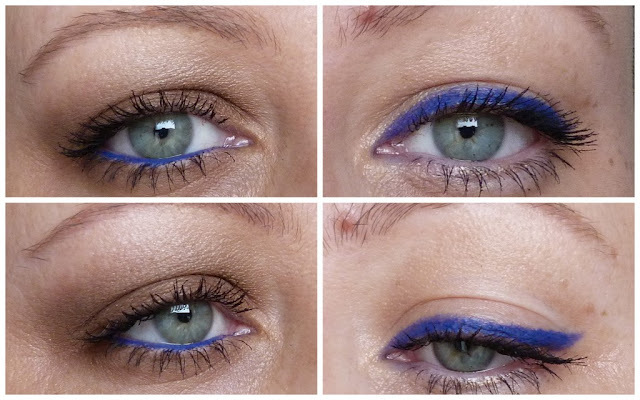 When this beautiful blue eyeliner arrived at Girlie Towers last year, it was love at first swatch. I was, and still am, obsessed with it and I can't wait for sunnier days when I can wear it again. So much is the all encompassing love for this pencil that when in La Roche Posay during the summer, four of the five of us wore it on our way home. We had bonded big time by then and eye cooties weren't a problem... If you see this shade in the stratosphere, or your local YSL counter, get it. Review here. I know I've gone on and on about this many times but this has helped my poor dry chapped lips like nowt else and I keep it on my bedside locker where I lash it on before I nod off. It also helped my poor little arm recover after burning it over Christmas. I touched my inner forearm off the roasting tray and it immediately blistered. Before I'd time to say oowwww m*therf*cker, Joanne was screaming "Do you have your Cicaplasssssst?" Girlfriend didn't want to wait any longer for her roast potatoes... I lashed it on my burn (yes I brought it with me to mam's along with only deodorant and toothpaste, just my necessities) and it immediately soothed the burn and I finished making the dinner. It looked sore and of course I kept pulling up my sleeve to show everyone, making fake ouchy noises but in reality, I was grand and was able to enjoy my Christmas dinner notta bother. Review here. I love nail polish. I love glitter polish even more. I love changing my polish every second day. But I loathe removing glitter polish with every fibre of my being. Every single part of me tenses up trying get the bloody stuff off and I end up essentially exfoliating my nails. Not anymore!! I totally sound like a JML informercial don't I? Well folks, for just €2.89 you too can banish all the pain from removing your glitter polish! No more scraping the top layer of your nails away and promising you'll never do it again. Click here to see the Peel Off Basecoat from Essence in action! And infomercial is over! I still use this every day when drying my hair and when anyone asks me if I got my hair done, I go into a big long yarn about the Mythic Hair Oil and how amazing it is. And it really is. I've dished out samples of this to pals who also love it and there's no better feeling than a regular (non make up junkie pal), loving a product. I managed to have lovely looking hair despite not having gotten it cut in ages thanks to this lightweight oil and I was as surprised as anyone when I realised I was reaching for it over my beloved Orofluido. Swishy sleek hair without being weighed down. That's what you get with this. Review here. The photos don't do this polish justice as it's a million times brighter in real life. This shade stood out a mile as my favourite polish of the entire year. It's mad and bright and will possibly provide you with retina damage but it's so worth it. This is summer polish-ified and I can't wait for a day in Spring where it's even slightly warm and sunny because this will be on my nails in an absolute jiffy. Review here. 8. Origins High-Potency Night-A-Mins cream. This has been by favourite night cream for about 10 years now and I've repurchased it time and time again. It smells fabulous, doesn't feel greasy and keeps my skin super soft I recently finished my pot and decided to try the oil free version of it, so stay tuned for my review of that. You can't go wrong when it comes to Origins and I know I'm going to continue to be a loyal customer for another ten years. So up until I'm thirty *ahem*. (I've decided I'm going to be 30 forever). Full review here. 9. La Roche Posay Hydraphase. When I'm not badgering people to try Cicaplast, I'm generally bleating how they need to try Hydraphase. I bullied Joanne into trying it last year and she's forever in my debt whether she likes it or not. She has dry skin and I have oily/combination skin and it works brilliantly for the two of us. So much so that I made her leave it in the bathroom so we could both use it. We bought a tube for our aunt along with the serum for Christmas so she's also going to be in my debt. This will be great for my own economy wha? Review here. I know I've been promising to do a post on this brow crayon and it'll be up next week. Until then, just be safe in the knowledge that this is brilliant and I've been using it every day since getting it. It has a crayon on one side and a gel on the other and is just perfect for my weeny little sad brows. I spent last year trying to find something that wasn't too dark or warm toned for my eyebrows and this is what I needed. Stay tuned for the review because I can't see myself using anything else on my brows from now on. Hand on heart. I've had this since September and have used it nearly every day since buying it. To say I'm in the love would be an understatement and I actually look forward to removing my make up at night with this! I use around three or four pumps of the oil and apply it to my dry face, massaging it into the skin and breaking down the make up. I use a microfibre cloth from Emma Hardie to remove every trace of the war paint from that day and my skin is left soft and happy. Earlier on I spoke about how I like to badger people into trying products I love. Well, CherrySue had no option as I bought one of these for her for Christmas, that's how much I believe in this amazing cleansing oil! Review here. I know, this is technically cheating as we have two products, but in my defence, I believe I can allow this on a technicality. I use them both every day, Armani on my top lashes and Clinique on the bottom and haven't strayed from this harmonious love affair since returning from New York. 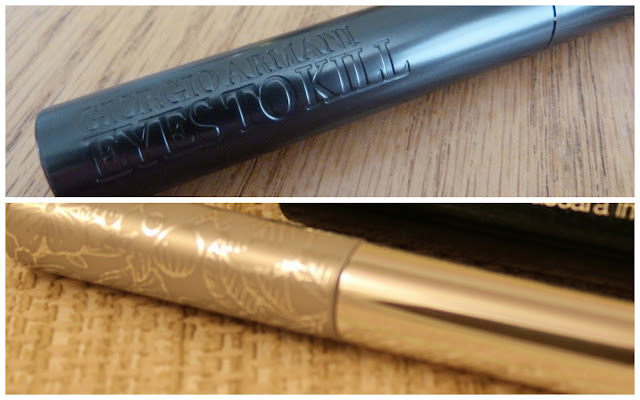 Eyes to Kill is my Holy Grail mascara and it's the only one that has people asking me what I'm wearing on my lashes. It's just amazing and not only did Joanne buy one herself in New York, she got one for each of her work colleagues, thus spreading the Armani love. I know I'm late to hop on the Clinique Bottom Lash mascara bandwagon, but now I'm not only on the bandwagon, I'm sitting in the driver's seat. Actually we'd better make that the passenger seat so that way I can apply my bottom lash mascara without the fear of crashing the bandwagon. So that's it folks. And if I'm honest, now I have The Fear. The Fear that I forgot something crucial which will make me feel guilty but sure what can you do. These are my chosen 12 products and I love them all like little children! Do you see any of your favourites above? And if not, what were you loving in 2012? 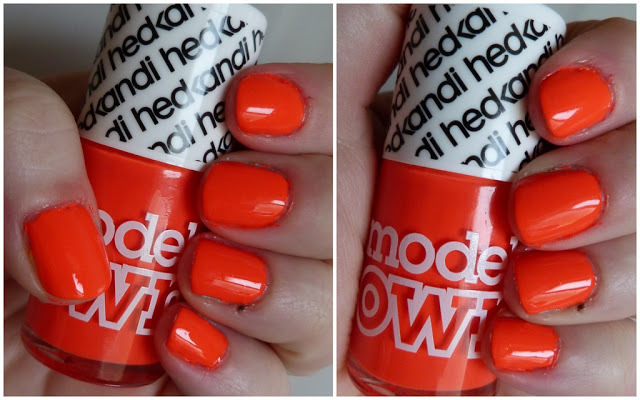 Love Hedonist as well, Models Own do neons so well. I think you may have convinced me to invest in some La Roche Posay now.. I do need to update my skincare! 2012 was the year I discovered La Roche Posay!! Am such a convert! Am very tempted by origins now too after this post!! I'm all about good skincare and it makes such a difference spending the extra few bob on something great! So glad and also relieved! There's always pressure with buying sommat you love for someone, hoping that they'll love it as much as you do! That eyeliner is so beautiful. Just read your review of the Essence base coat, what a genius product! 2013 is the year I will buy some Origins goodies!